The Canadian Grand Prix, officially known as the Grand Prix of Canada, is run at the Circuit Gilles Villeneuve in Montreal. Montreal is in the major city in the province of Quebec, and is the second largest city in Canada. It is centred on the island of Montreal, from which it takes its name. French is the official language of Quebec. It’s on the Eastern side of Canada and very close to the southern border with the USA. The weather is hot in summer and cold and snowy in winter. Montreal is a fabulous place for a city break around the Grand Prix, and there is plenty to do there. Built in 1978, and originally called the Ile de Notre Dame circuit, it was renamed after Canadian racing driver Gilles Villeneuve following his death in 1982. Notre Dame Island is a man made island on the St Lawrence river. The circuit is narrow, and the barriers are very close to the track. It’s fast, there are long straights with kinks in them, so drivers are constantly working the wheel. This means crashes happen often, and the famous Quebec Wall was renamed the Wall of Champions after Schumacher, Hill and Villeneuve all ended races there. Montreal is also famous for having hosted the longest Grand Prix ever, after heavy rain caused the race to be paused. The circuit features a full 180 degree hairpin curve, which makes for some excellent overtaking action. The lap record is 1:11:459 set by Sebastian Vettel in Q3 in 2018. The circuit is 4.36KM long and its the shortest lap time in F1 currently. It requires a low downforce set up, and that leads to lots of wheel locking at the tight hairpin. What sort of race can we expect? 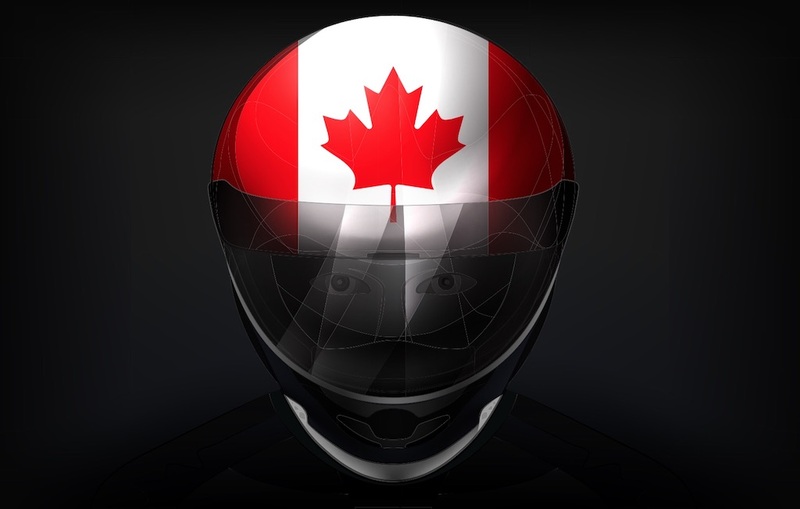 The Canadian Grand Prix is generally a thrilling race with plenty of action and a high chance of a safety car period. It’s usually dry and warm, but if it does rain, it can be a downpour, and drainage at the circuit is poor. Rain arrives suddenly, and can catch out drivers on slicks. In recent years Mercedes and Ferrari have dominated, and prior to that Red Bull were top dogs in Canada. The big braking areas mean kinetic energy generation is good, so drivers get plenty of electric boost to aid overtaking. The Canadian Grand Prix always provides drama – it was where Mansell ran out of fuel while leading on the last lap in 1991, it is the only race where brothers have finished 1st and 2nd, with Ralf beating his brother in 2001, it was where Lewis Hamilton scored his first win in 2007, and where Jenson Button won the longest ever grand prix (4 hours!) in 2011, after being last when the race was paused. Where’s the best place to watch? There’s no question that the best grandstands at the Canadian Grand Prix are 11 and 12 on the Senna curve, which is the hairpin at the end of the main straight. Expect to see loads of overtakes, cars locking up and running off the track there. There’s also a large screen so you can watch action from other parts of the track. 31 and 33 are on the “back” side of the circuit and are located on technical sections, so speeds are low, and they are great for photos. Again, they have giant screens. 1 and 2 are pretty standard main straight grandstands with a view of the pits and cars flashing past at speed. Great to watch the start, finish and podium, though. We’d advise against general admission without a grandstand seat at Montreal – the circuit is flat, so getting a view through the catch fencing is difficult.